As one of the largest and oldest manufacturers in Europe, Prvi Partizan has supplied munitions to Serbian government and police forces as well as many other countries across the world. Producing more than 400 different kinds of rifle, pistol and small arms ammunition, PPU is one of the largest manufacturing companies of its kind. With a legacy of quality spanning more than 90 years, PPU continues to make some of the most popular ammunition in the world. The 6.5x55mm Swedish round was originally created in 1891 for use of the militaries of Sweden and Norway. 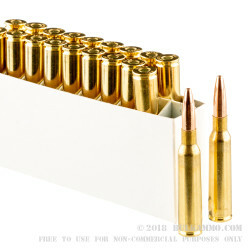 Though originally a military cartridge, it has gained popularity as a hunting round in the 21st century and offers lower recoil than similar cartridges such as the .30-06 Springfield or the 7.92 Mauser. 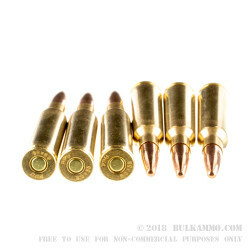 These PPU 6.5x55mm SE rounds are loaded with 139-grain full metal jacket projectiles into noncorrosive, boxer-primed, reloadable brass cases. 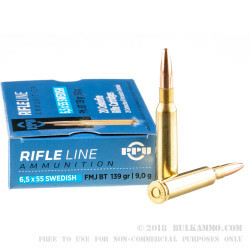 The FMJ bullet features a boat tail design, making for a more accurate and aerodynamic round and is a great choice for days at the range sighting in your Swedish Mauser or Krag. 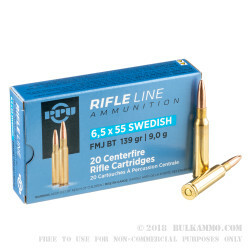 Each box of PPU 6.5x55mm Swedish comes with 20 rounds.